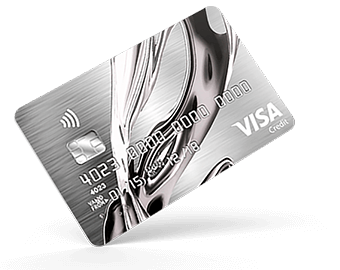 We’ve designed the Chrome credit card to be Vanquis Bank's lowest APR credit card and one of the lowest APR credit building cards in the market. So if you’re new to credit or had some problems in the past you could use the Chrome Credit Card to build or rebuild your credit rating. It’s the perfect opportunity to take control of your credit future. 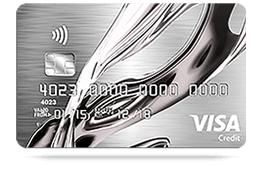 The Chrome credit card is powered by Vanquis Bank, the UK’s largest specialist provider of credit cards to customers who are working to build or rebuild their credit rating. The Chrome credit card can be a fantastic way to shape your credit future by building a strong credit rating, use it to demonstrate to future lenders that you can manage credit responsibly. It could also be used to rebuild a poor credit rating if you've had credit difficulties in the past. Just remember that in order to give the best chance of building your credit limit you'll need to use your card sensibly, stay within your credit limit and pay at least your monthly minimum payment on time. Keep your other accounts such as credit cards, loans, catalogues, mobile phone and mortgages in order and don't take on too much debt elsewhere. Not following these steps could actually harm your credit rating and make it harder to get credit. We put the customer at the heart of everything we do, we believe that's why we're rated 8.1 out of 10 by our customers on TrustPilot (As of May 2018) and have won Moneyfacts 'Credit Building Card Provider of the Year' award every year between 2015-2018. As a new Chrome customer we'll give you a sensible starting limit of between £250 and £1,000, you could qualify for your first credit limit increase after your 5th statement and then further increases every 5 months up to £4,000. Just keep in mind that you'll maximise your chances of earning increases by using your card and staying within your credit limit and keeping your account in order which demonstrates you can manage your account well and handle the monthly repayments. Also remember that you can choose to decline an increase if you ever want to. We've worked hard to make our Eligibility Check as easy as possible to complete by keeping our questions simple to understand. We've also worked hard to make comleting our form a great experience whether on a Mobile, Tablet or PC. Once you've completed an Eligibility Check we'll normally give you a response within 60 seconds which is where we can give details on the next steps. As Chrome is operated by Vanquis Bank you can take advantage of the same great features so you can manage your account through the eVanquis website or if your prefer to manage your finances on the go you can download the 5 Star Mobile Vanquis app on Apple or Android. 5 Star rating correct on iTunes as of May 2018. You'll benefit from having a dedicated fraud team who will monitor your accout 24 hours a day, 7 days a week to minimise the chance of you being a victim of fraud. If the worst should happen they will work closely with you to help resolve the issue as quickly as possible.